Carry your loved ones with you everywhere you go. his key chain is unique, practical and personal piece. Matches perfectly individuals and couples. Wow! 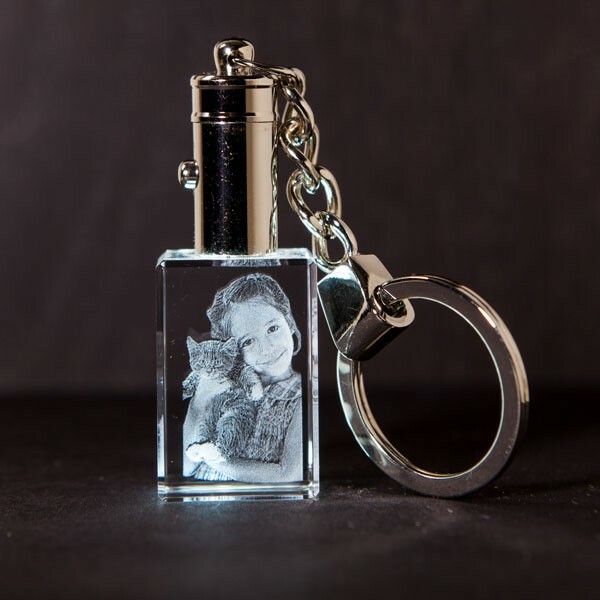 This amazing square crystal key chain is a unqiue way to hold on the memories of your loved one with you in every moment. All you need is to upload the picture and that's it! It's done. For all those individuals and couples, this square key chain makes up for an ideal gift for your loved one. The 3-D in this is just amazing! With it was just alittle bigger, but it is still really cool! I use this as a showpiece on my desk and key chain both, value for money. Just one word – AMAZING!